Cayenne peppers have long been held in high regard for their powerful health-boosting properties. Popular cleanses, like the Master Cleanse, use cayenne because of naturally occurring compounds, like capsaicin, which help cleanse and detox the body at a cellular level. 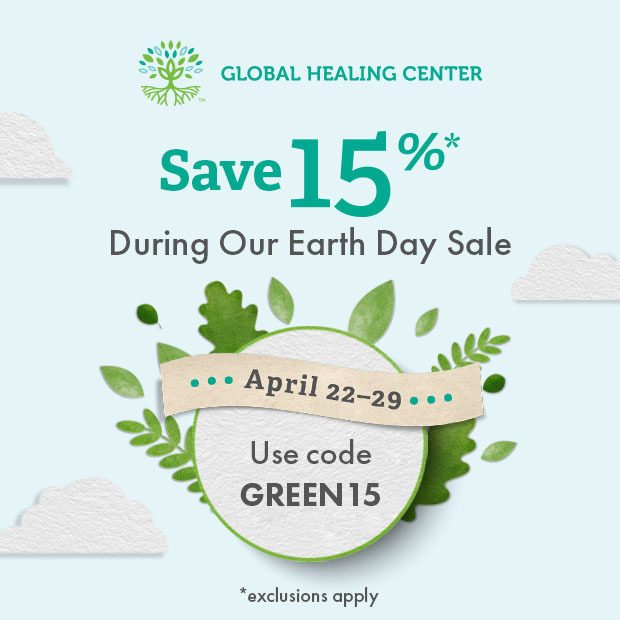 These cleansing effects can have a significant impact on your entire body, promoting a healthy heart, weight, and gut. Sustaining overall health is where the actual cleansing benefits of cayenne lie, helping you live healthy, longer! 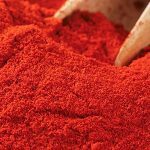 Here are the top benefits of cayenne. 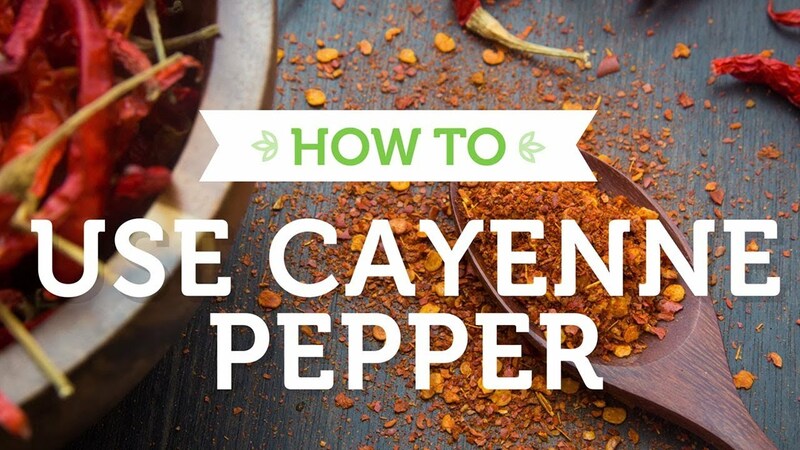 Cayenne is well-known for its pain-relieving, weight loss, and metabolism-boosting properties, but it’s also a detoxifying spice that works on many different organs and tissues. It owes its detoxifying health benefits to the actions of capsaicin, the natural compound that gives chili peppers their stinging bite. Capsaicin triggers the production of a powerful vasodilator called nitric oxide. This compound causes your arteries to relax, which encourages normal blood pressure and improves circulation, especially to tissues that are woven through with delicate capillaries. These tiny blood vessels sometimes become clogged with white blood cells and clumps of blood platelets, but loosening their walls gives them the flexibility they need to keep your blood flowing. Adequate blood flow allows your cells to properly dispose of waste and take in fresh nutrients and oxygen. Going one step further, capsaicin also prevents platelets and red blood cells from clumping together, or clotting. This thins your blood so that it can flow through all the tiny vessels that supply organs like your heart and skin. Insulin is the hormone that helps draw glucose to your heart and muscle cells where it’s used for energy. If your cells are resistant to the effects of insulin, your blood sugar can climb perilously high. 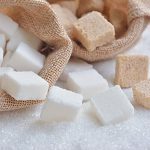 This condition, called hyperglycemia, comes with complications like increased oxidative stress, cell damage, slowed tissue repair, high blood pressure, excess fat in the blood, cardiovascular disease, and fatty deposits in the liver. Eating cayenne pepper increases your insulin sensitivity and response, helping you avoid the consequences of insulin resistance. One study found that capsiate, another compound found in red peppers like cayenne, was even more effective than capsaicin in this respect. Cayenne has a similar effect on the fats in the blood that contribute to heart disease, but it works a little differently. 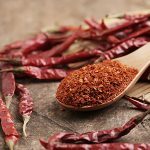 One animal study found that, rather than decreasing the overall fat content in blood, the antioxidants in cayenne specifically reduced the amount of oxidized fat. This is the bad kind of fat that clogs arteries and deteriorates heart health. The capsaicin in hot peppers activates a process called autophagy, the healthy degradation and recycling of cells, in the liver. In an animal study, researchers discovered that frequently eating cayenne pepper promotes the breakdown of fat stored in the liver. It boosts the synthesis of certain enzymes called lipases that metabolize fatty tissue. You’ve probably noticed your nose tends to run when you eat spicy food. It turns out that cayenne and other hot peppers are an effective decongestant and bronchodilator, which means they help clear your respiratory passages of mucus and soothe the swelling that accompanies congestion. 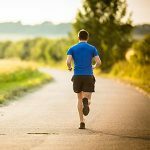 When you sweat, you lose essential minerals like sodium, calcium, potassium, zinc, magnesium, and copper. These minerals, most of which are electrolytes, need to be replaced daily. But you can also sweat out toxic metals like arsenic, cadmium, lead, and mercury. 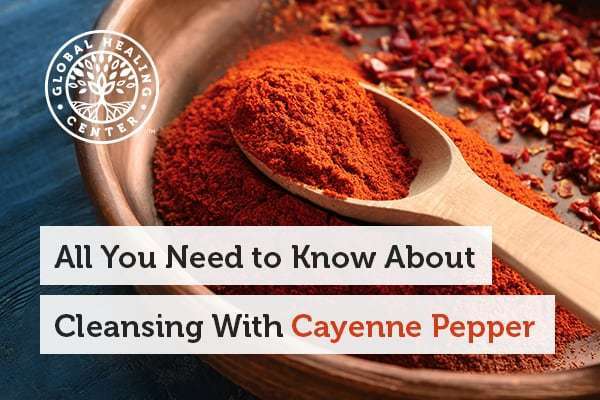 If you’re not a big fan of running or hot yoga, cayenne can help activate this natural detoxification process. If you want to cleanse your body in these ways and more, then adding cayenne pepper to your daily diet is an excellent start. From the cooking spice to different cayenne supplements, it is an inexpensive and easy way to cleanse your body. If you have serious toxin build up, then taking cayenne with a more comprehensive cleanse might do even more for your wellness. 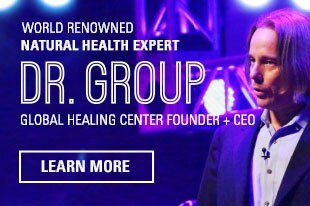 Global Healing Center has been helping people cleanse their bodies of toxins for nearly 20 years, and along the way, we have learned what works and what doesn’t. Our Health Kits offer a variety of targeted cleanses that focus on detoxing your liver, kidneys, and colon. Do you add cayenne to your meals for the benefits or the heat? Tell us about your preferences in the comments! Yang, D. et al. "Activation of TRPV1 by dietary capsaicin improves endothelium-dependent vasorelaxation and prevents hypertension." Cell Metab. 2010 Aug 4;12(2):130-41. Web. 29 June 2017. McCarty, Mark F, et al. "Capsaicin May Have Important Potential for Promoting Vascular and Metabolic Health." Open Heart 2.1 (2015. PMC. Web. 29 June 2017. Granger DN, Senchenkova E. "Inflammation and the Microcirculation." San Rafael (CA): Morgan & Claypool Life Sciences; 2010. Chapter 5, Capillary Perfusion. Web. 29 June 2017. Pittman RN. "Regulation of Tissue Oxygenation." San Rafael (CA): Morgan & Claypool Life Sciences; 2011. Chapter 2, The Circulatory System and Oxygen Transport. Web. 29 June 2017. Matarasso, Alan, MD. "Dietary Supplements: ‘Safe…, at Certain Speeds’." Aesthet Surg J (1998) 18 (6): 442-443. Web. 29 June 2017. Jellinger, PS. "Metabolic consequences of hyperglycemia and insulin resistance." Clin Cornerstone. 2007;8 Suppl 7:S30-42. Web. 29 June 2017. Kiran, D.K. et al. "Effects of chili consumption on postprandial glucose, insulin, and energy metabolism." 2006 American Society for Clinical Nutrition. Web. 29 June 2017. Kwon, D.Y. et al. "Capsiate improves glucose metabolism by improving insulin sensitivity better than capsaicin in diabetic rats." J Nutr Biochem. 2013 Jun;24(6):1078-85. Web. 29 June 2017. Otunola, Gloria A. et al. "Selected Spices and Their Combination Modulate Hypercholesterolemia-Induced Oxidative Stress in Experimental Rats." Biological Research. 47.1 (2014): 5. PMC. Web. 29 June 2017. Galati, G., O’Brien, P.J. "Cytoprotective and anticancer properties of coenzyme Q versus capsaicin." BioFactors (2003). Web. 29 June 2017. "Pepper Component Hot Enough To Trigger Suicide In Prostate Cancer Cells." Cedars-Sinai. N.p., n.d. Web. 29 June 2017. Marion-Letellier, R. et al. "Nutrient Modulation of Autophagy: Implications for Inflammatory Bowel Diseases." Inflammatory Bowel Diseases: January 2013(19)p 205–212. Web. 29 June 2017. Oh, S.H. et al. "Dihydrocapsaicin (DHC), a saturated structural analog of capsaicin, induces autophagy in human cancer cells in a catalase-regulated manner." Autophagy. 2008 Nov;4(8):1009-19. 29 June 2017. Thoennissen, N. H., et al. "Capsaicin causes cell-cycle arrest and apoptosis in ER-positive and -negative breast cancer cells by modulating the EGFR/HER-2 pathway." Oncogene (2010) 29, 285–296. 29 June 2017. Lampe, J. "Spicing up a vegetarian diet: chemopreventive effects of phytochemicals." American Journal of Clinical Nutrition (2003); 78(579s-83s). 29 June 2017. Qiang, L., et al. "Dietary capsaicin prevents nonalcoholic fatty liver disease through transient receptor potential vanilloid 1-mediated peroxisome proliferator-activated receptor δ activation." Pflugers Arch - Eur J Physiol (2013) 465: 1303. 29 June 2017. Duke, James A. CRC handbook of "Medicinal Spices." Boca Raton, FL: CRC Press, 2003. Print. Montain, S.J., Cheuvront S.N., Lukaski H.C. "Sweat mineral-element responses during 7 h of exercise-heat stress." Int J Sport Nutr Exerc Metab. 2007 Dec;17(6):574-82. 29 June 2017. Sears, M. E., Kerr, K. J., Bray, R.I. "Arsenic, Cadmium, Lead, and Mercury in Sweat: A Systematic Review." Journal of Environmental and Public Health.Volume 2012 (2012). 29 June 2017.